Zarif made the remarks in a Tuesday meeting with his Syrian counterpart Walid Muallem in Damascus. During the talks, the two sides conferred on the most significant issues in mutual ties and regional and global developments including the recent ones in North Africa. Iran’s top diplomat underlined that the resistance of Syrian government and nation against terrorism has saved the region against a great danger and plot. He also called for the expulsion of all terrorists from Syria. 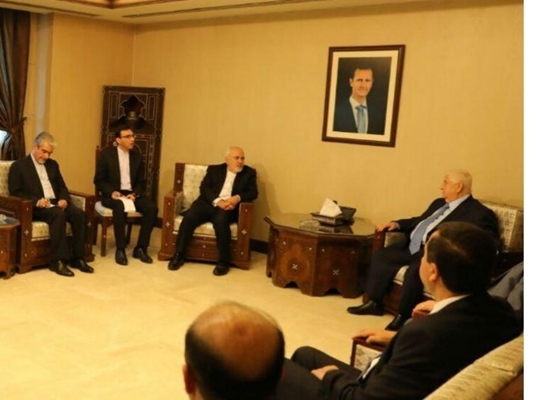 For his part, the Syrian foreign minister referred to mutual cooperation between Iran and Syria over the past years and said the cooperation has helped the Arab country thwart huge plots. Muallem also underlined the need to continue and deepen the cooperation. The Iranian foreign minister arrived in Syria earlier Tuesday for a one-day visit. During his stay, Zarif held talks with Syrian President Bashar al-Assad, and is expected to hold talks with the Syrian premier on mutual and regional issues.